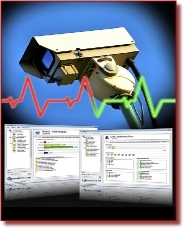 CheckMySystems Ltd - the CCTV health and operation monitoring software specialist – will be showcasing its innovative CheckMyCCTV solution at the forthcoming IFSEC 2012 exhibition in Birmingham. CheckMyCCTV is designed to automatically identify and report specific CCTV faults as soon as they are detected, whether it be a camera, hard disk, recording, or network connection failure, so ensuring that issues can be flagged-up and resolved before they have a negative impact on the operation of any associated video surveillance infrastructure. The need for an effective, user-friendly, diagnostic software solution, that can automatically detect faults around the clock is illustrated by the results of a snapshot survey conducted by CheckMySystems Ltd across 300 sites prior to CheckMyCCTV being implemented. This survey showed that a worrying 75% of these sites had one or more issues that affected the operational performance of the CCTV system, ranging from the daylight saving time not being updated, to camera failures, recording problems, and hard disk issues. Significantly, this is the first year that CheckMySystems Ltd will have its own stand at IFSEC, a move which reflects the strong take-up there has been for CheckMyCCTV over the past 12 months. Already, many of the UK's leading Remote Video Response Centres (RVRCs) are offering CheckMyCCTV's health monitoring capabilities as a value-added service to their customers. Security installers are also recognising the advantages of proactive maintenance of remote CCTV systems to reduce costs and to provide a higher level of service above and beyond traditional scheduled maintenance visits. In addition, CheckMyCCTV is being rolled out at a growing number of big name retailers as part as part of their CCTV maintenance strategy to ensure their CCTV systems are operating correctly at all times across multiple outlets. CheckMySystems’ health and operation monitoring software, being demonstrated in Hall 5, Stand C116, throughout IFSEC 2012, has been designed to be as intuitive as possible for users and features a unique on-screen 'traffic light' warning system, making it easy to identify issues at a glance. New innovations being demonstrated at IFSEC include a web viewing option, allowing customers to view the status of their CCTV installations using a smart phone or web browser, and Google map integration so the status of multi-site CCTV systems can be displayed on an interactive map. Other advances to be unveiled range from customisable daily status report emails to the ability to produce a detailed CCTV audit report for all attached CCTV systems, highlighting record duration, software version and model. Said Darren Rewston, Managing Director of CheckMySystems Ltd: "We believe that IFSEC 2012 will be an invaluable opportunity for us to demonstrate at first hand our health and operation monitoring software's ability to offer an intelligent and economical way to monitor the status of security-critical CCTV systems. 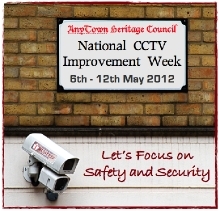 We are certainly seeing tremendous interest in CheckMyCCTV and hope to be able to capitalise on this at the exhibition. A major focus for us, as we seek to expand our customer base, is to ensure that the CheckMyCCTV software is compatible with the largest possible range of installed equipment. As a result, we have increased the number of CCTV brands we are compatible with to 20 through a major R&D effort and plan to highlight our most recent additions; Vista, Samsung and Dallmeier, during the show. "As well as representatives from CheckMySystems Ltd, visitors to our stand will also have an opportunity to speak to our partners about their experiences with CheckMyCCTV. This will include a number of CheckMyCCTV Service Providers, specifically, EMCS, IMDS, Remote Video Response, and Custodian Monitoring plus our specialised Integration Partners, including representatives from CSG, Comfort Zone, and Gratte Brothers."